Welcome to our site. Here you will find all the information you will need about the sport. We absolutely love golfing and are happy to provide you with all of the latest news, tips, and information regarding the sport. You will find information here about golf players, courses, tournaments, and many more golf-related topics, but most of our attention goes to our all-time favorite locale, Cambridge. In our opinion, there are not many better places for golfing that Cambridge. Of course, the weather does not always allow for a good game, but when it does, the courses in Cambridge are absolutely beautiful, making the experience of playing truly unforgettable. 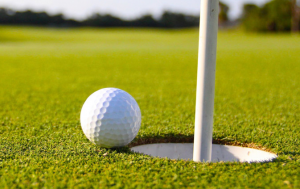 Golf is such a widespread sport that it can seem a little confusing at times when faced with a schedule of events taking place within a season. There are a huge number of contests and competitions going on all around the world at any given point in time, and there are also several different levels of play and skill. To make things even more complex, there are a number of different organizations that hold and host their own events. We will demystify the whole process for you by explaining what all the events are and who manages them. You will also find information about the matches that draw the best players. If watching golf isn’t your thing, we provide plenty of tips and tricks for playing as well. Whether you are a novice or an experienced player, you will find information here about how to improve your game. As everyone knows, golf is one of those sports that can take a lifetime to master, and we are here to help you quicken that process. 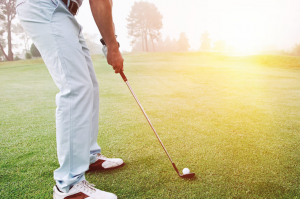 You will find information about choosing the right strategy for the shot you are trying to make, different methods of getting the ball back on the course if you happen to end up in the sand or the rough, and techniques to beat your personal bests at the driving range. To practice your new skills, you are going to need a course to play on. Here on our site, we will give you all the information that you need to make the choice about the best course for you. All of the available options each come with their own special features that appeal to different types of players. At first glance, the most noticeable variable of these is the obvious price difference which separates the elite clubs from the ones geared towards the general public; however, by taking a closer look you will see a lot of other differences as well. In fact, some of our favorite courses are not the expensive ones. There are many courses in Cambridge, for example, which are absolutely fantastic despite their low costs. Whatever your golf-related interests happen to be, we are sure that you will find the information that you need here on our site. We are well-versed in our knowledge of the sport, and our first aim is to assist you in becoming a better player and, of course, locating the courses that you deserve as a player.